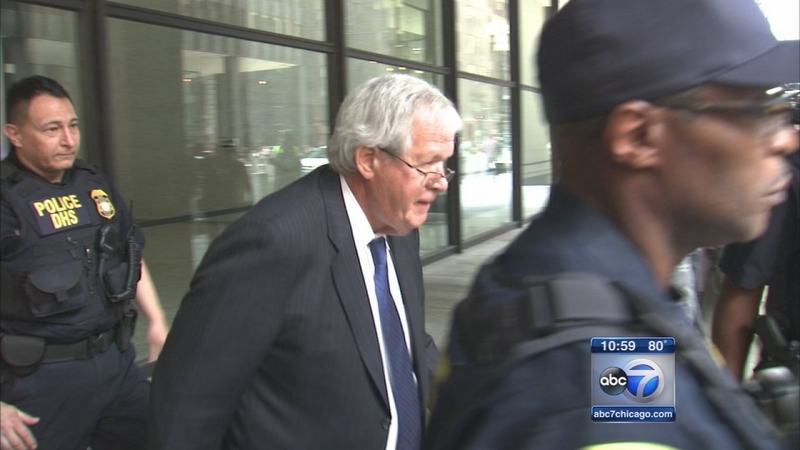 CHICAGO (WLS) -- Former House Speaker Dennis Hastert's lead attorney said he intends to file a motion to dismiss the indictment against Hastert. Attorney Tom Green contends the allegations of past sexual misconduct were wrongfully leaked by the government and have become the "800 pound gorilla in the room". Hastert, a former teacher and wrestling coach, is accused of agreeing to pay $3.5 million to someone described in a May 28 indictment only as "Individual A" to keep past misconduct secret. The indictment doesn't describe the alleged misconduct. It says "Individual A" has been a resident of Yorkville - the town about 60 miles outside Chicago where Hastert taught and coached - and has known Hastert for "most of Individual A's life." It also says Hastert paid Individual A a total of $1.7 million. Green was asked if they expect the Hastert case to go to trial and couldn't give an answer. Right now, Green said, "We're gearing up for trial." Hastert, who is free on a $4,500 unsecured bond, has pleaded not guilty to charges of violating banking laws and lying to the FBI. Hastert was not in court on Tuesday.